Running a business takes an enormous amount of time and energy. It’s not easy keeping up with all the details, so many business owners seek help from Roe CPA, P.C., an Atlanta CPA firm with extensive experience in all facets of small business accounting. If you have a seasonal business, you most likely face some challenges that year-round businesses don’t. After all, trying to squeeze a year’s worth of business into a far shorter period can get pretty hectic. Here are some tips that may help. All small business owners have to be careful cash managers. Strict management is particularly critical when cash flows in over a relatively short period of time. One very important lesson to learn: Control the temptation to overspend when cash is plentiful. Arming yourself with a realistic budget and sound financial projections — including next season’s start-up costs — will help you maintain control. And you may want to establish a line of credit just in case. It’s difficult to maintain visibility when you aren’t in business year round. But there’s no reason why you can’t send your customers periodic updates via e-mail or snail mail. You’ll certainly want to announce your reopening date well ahead of time. You can also spend time developing new leads and lining up new business. You deserve it, so take some time for rest and relaxation. But you’ll also want to use the time you’re closed to make any necessary repairs and take care of any sprucing up you’d like to do. You can also use the off-season to shop around and look for deals on items you keep in stock and/or equipment you need to buy or replace. If you’re thinking of making the transition from “closed for the season” to “open all year,” start investigating new product lines or services. If you diversify in ways that are complementary to and compatible with your core business, your current customer base may provide support right away. 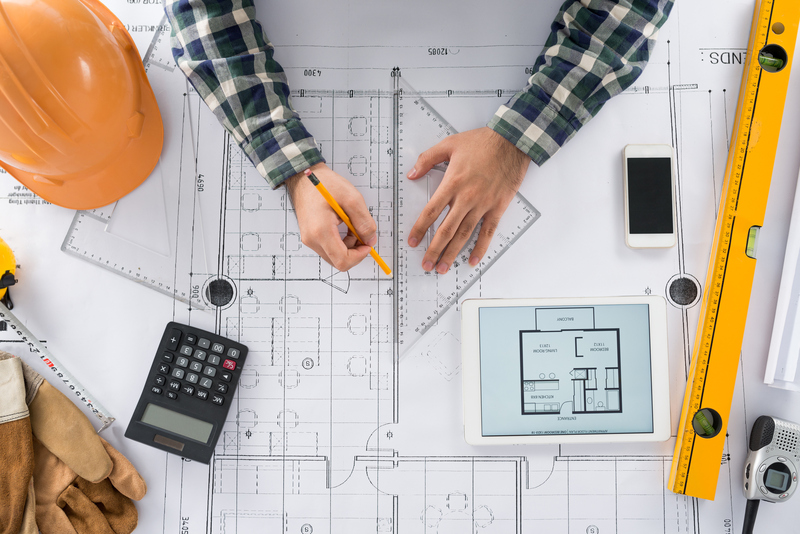 A well-thought-out expansion can be the key to a successful transition into a year-round business. Being the owner of any type of business has its rewards — and its challenges. We have a lot of experience working with small business owners and would be happy to assist you in any way we can. To learn more tips about how to increase the bottom line of your seasonal business, give us a call today at 404-504-7051. Our staff of trained and experienced professionals will be happy to answer all of your questions. Or, request a free consultation online. Some improvements are likely to increase your home’s value. However, others may actually decrease potential buyers’ interest in your home. So, put away your toolbox until you know more about projects that typically don’t pay. When you remodel your house, it should be in keeping with your neighborhood. 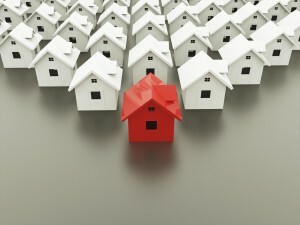 Having your house stand out as the nicest one by far is often not a good thing when you’re trying to sell. Too much improvement may not pay off since the market price of your house may be limited by your neighborhood’s home values. Unusual renovations, such as converting a garage into a home gym or adding a backyard basketball court, could turn off potential buyers. Another thing to consider is keeping things standard shapes and sizes throughout the home. You also may want to stick with standard sizes and heights for countertops and kitchen and bathroom fixtures. Don’t do it yourself if you’re not handy. First of all, the results will probably show that you didn’t hire a professional. And secondly, structural mistakes and building code errors will show up during a home inspection. If your home fails an inspection, you could either lose a sale or be forced to lower your selling price. To learn more about how to make most of your home as an asset give us a call today. Our Atlanta Accounting and Tax team is always available to answer any questions you may have. Call us at 404-504-7051 or request a free consultation online. You probably don’t get as many paper forms in the U.S. Mail as you used to. But when you do, do you draw conclusions about the business that sent them based on what their forms look like? Whether or not you think you do, most people make judgements on businesses based on collateral materials. You might notice that there’s no company logo, or that there are unnecessary blank fields. Maybe the print is very light or blurry, and there’s no message at the bottom thanking you for your business and your payment. How you present yourself on paper does matter. There’s a lot of competition out there, and you need to use all of the tools available to you to stand out. QuickBooks provides one way to do so with its simple forms customization features. Figure 1: QuickBooks’ Templates window shows you what forms can be customized and provides tools for working with them. 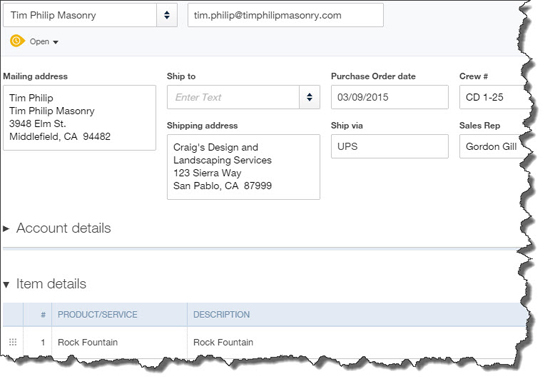 Before you try your hand at customizing a form, make a copy to work with first. 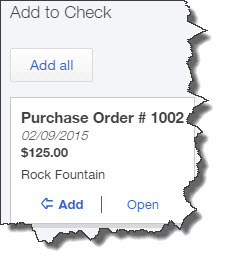 Highlight Intuit Product Invoice. Click the down arrow next to Templates in the lower left, and select Duplicate. A small window will open, displaying your options. 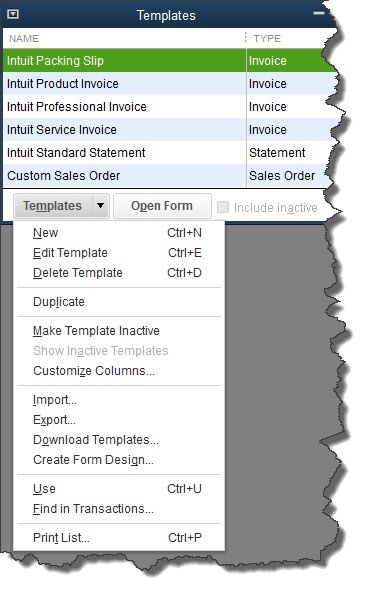 Select Invoice and click OK.
QuickBooks will then take you back to the Templates window, and you’ll see a new entry labeled Copy of: Intuit Product Invoice. Right-click on it and select Edit Template from the menu that opens. This will open the Basic Customization window. There are two parts to this screen. The editing options for the template you selected will appear on the left, and a preview of your invoice will display on the right. As you make modifications to the template, the preview will change to reflect them. The best, most noticeable thing you can do to customize your invoice is to add a logo. Click the box in front of Use logo, and locate the file in the computer directory that opens. Double-click it. You logo will appear to the left of your company name and address in the upper left corner of the preview. Figure 2: The Basic Customization window displays options for modifying your copy of the Intuit Product Invoice template. Indicating whether the Print Status Stamp (PAID, PENDING, etc.) should appear where appropriate on your invoices. Note: You can choose to use the same modified design on multiple types of forms. This is a little complicated; let us help you. The changes you just made were fairly superficial. However, QuickBooks offers tools that let you go much further, modifying the actual content of the invoice itself, its columns, and its fields. To get started on this, click the Additional Customization button at the bottom of the screen. The window that opens displays a preview of your invoice on the right side, just like in the previous window. Header. This includes all of the information that appears on about the top third of the form, like Bill To, Terms, Due Date, and Project/Job. Columns. What are you billing the customer for? Item, Description, Quantity, Rate, etc. Footer. What information will you want to enter after you’ve completed the invoice’s product or service content? You’ll likely want fields like Total, Balance Due, and Payments/Credits, perhaps a Message. Need more QuickBooks assistance? Contact our Atlanta CPA Firm and our QuickBooks professionals for more information at 404-504-7051 or request a free cosultation online. Give our Atlanta CPA firm a call today at 404-504-7051, so we can help you determine the right course of action for you. We specialized in Real Estate Accounting services, and understand the common financial issues real estate businesses are up against and will be ready to assist you with practical accounting solutions and tax strategies. If you’re in business for yourself, you know how challenging it can be to run your business and keep on top of your tax situation. Here’s a refresher on the tax rules you need to be aware of if you’re a self-employed sole proprietor or are thinking of becoming one. As you probably know, sole proprietors do not file a separate federal income-tax return for the business. Instead, they summarize their business income and expenses on Schedule C of their personal income-tax returns. Any self-employed person who has net earnings of at least $400 from the business is subject to SE taxes on those earnings. SE taxes generally track the Social Security and Medicare taxes paid by employees and their employers and are partially tax deductible. Your net SE income will be taxable whether or not you withdraw cash from your business account. Moreover, you may be subject to penalties if you fail to make appropriate quarterly estimated tax payments. If you work out of your home, you may be able to deduct a portion of the costs incurred to maintain your home. You also may be able to deduct commuting expenses incurred to travel from your home office to another work location. When tax law requirements are met, you may deduct your health insurance premiums as a trade or business expense, including premiums paid for your spouse, dependents, and children under the age of 27. If you don’t already have a tax-favored retirement plan, you may want to consider establishing one. Contributions to the plan would be tax deductible, within certain tax law limits. Types of retirement plans available to sole proprietors include solo 401(k) and simplified employee pension (SEP) plans. Don’t deal with tax issues on your own. Call us right now at 404-504-7051 or fill out our free consultation form to find out how we can provide you with the answers you need. How Does Refinancing Your Home Affect Your Taxes? As the real estate market improves and mortgage rates remain low, many homeowners are considering refinancing their home mortgages. Following are some of the general tax rules for deducting the charges associated with refinancing. Roe CPA, P.C. is an Atlanta CPA Accounting Firm that can help you with all your real estate tax and accounting needs. Interest on a refinanced loan will be deductible to the extent the loan refinances up to $1 million of home acquisition debt, plus up to $100,000 of home equity debt (limits are $500,000/$50,000 for married taxpayers filing separately). Home acquisition debt is a mortgage loan used to buy, build, or substantially improve a first or second home. 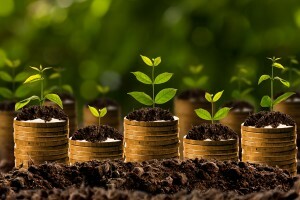 Home equity debt is generally any other debt secured by a first or second home. These limits, however, operate separately. For example, if a couple had $300,000 remaining in principal on their original mortgage loan and then refinanced that debt with a new $450,000 mortgage, they would be able to deduct the interest on only $400,000 ($300,000 plus $100,000). Interest on the remaining $50,000 would be nondeductible because that portion is in excess of the combined limits. Points paid for the refinancing of a loan that does not exceed the above limits are deductible over the life of the loan. However, any points paid in connection with the portion of a mortgage used to finance home improvements may be deductible in the year of the refinancing. Generally, a prepayment fee paid on the old mortgage is considered a payment of interest on that mortgage and, therefore, is deductible in the year it is paid. However, other fees, such as those for credit reports, appraisals, and loan origination, are not deductible. For more help connect with us today at 404-504-7051. Our Atlanta CPA tax team can help you with all your tax issues, large and small. The new year has begun. Does your accounting to-do list look like a clean slate, or are critical tasks from last year still nagging? QuickBooks’ Report Center introduces you to all of the software’s report templates and helps you access them quickly. We hope that by now you’ve at least started to create a budget for this coming year. If not, the best way to begin is by looking at how close you came to your numbers last year. QuickBooks actually offers four budget-related reports, but Budget vs Actual is the most important; it tells you how your actual income and expenses compare to what was budgeted. 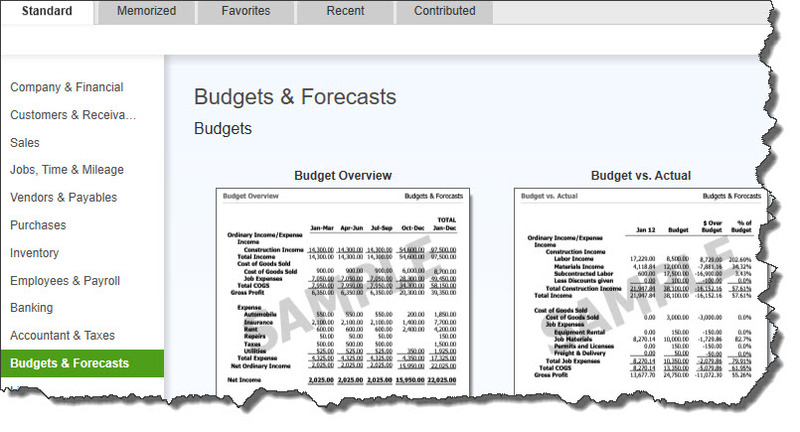 Budget Overview is just what it sounds like: a comprehensive accounting of your budget for a given period. Profit & Loss Budget Performance is similar to Budget vs Actual. It compares actual to budget amounts for the month, fiscal year-to-date, and annual. Budget vs Actual Graph provides a visual representation of your income and expenses, giving you a quick look at whether you were over or under budget during specific periods. You’ve probably been watching your income and expenses all year in one way or another. But you need to look at the whole year in total to see where you stand. This graph shows you both how income compares to expenses and what the largest sources of each are. It doesn’t have the wealth of customization options that other reports due, but you can view it by date, account, customer, and class. 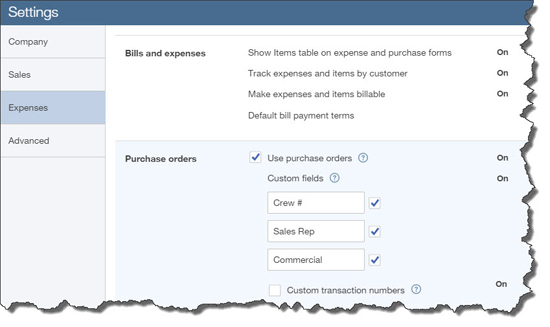 QuickBooks’ report templates offer generous customization options. Which customers still owe you money from last year? How much? How far past the due date are they? This is a report you should be running frequently throughout the year. Right now, though, you want to clean up all of the open invoices from last year. A/R Aging Detail will show you who is current and who is 31-60, 61-90, and 91+ days old. You might consider sending Statements to those customers who are way past due. Are you current on all of your bills? If so, this report will tell you so. If some bills slipped through the cracks in December, contact your vendors to let them know you’re on it. January is a good time to take a good look at what sold and what didn’t before you start placing orders for this coming year. We hope you’re watching this closely throughout the year, but looking at monthly and annual totals will help you identify trends – as well as winners and losers. January is a good time to run reports you didn’t have time to in December. Talk to us about which are most important. QuickBooks provides templates for some reports that you probably need help analyzing, like Balance Sheet. We can help with these. Have you explored QuickBooks’ Report Center? It offers a variety of tools and guidance for managing reports. Did you create a budget last year? Now’s the time to run QuickBooks’ Budget vs Actual report. Need more help with setting up QuickBooks or staff training to use the software. Contact our Atlanta CPA Firm at 404-504-7051 to learn more about our QuickBooks support and training services. Everybody likes tax breaks. For many taxpayers, the tax break they get on the gain from selling a home is one of the most valuable of all. If you’re thinking the time is right to put your house on the market and it has appreciated in value, make sure your gain will qualify for the home-sale gain exclusion before you make your move. Here’s how the home-sale gain exclusion works: If you make a profit when you sell your principal residence, all or part of your gain may be tax free. Eligible individual filers may exclude up to $250,000 of gain from their income; married couples filing jointly may exclude up to $500,000 of gain. In general, this tax break is available only once every two years. To qualify, you generally must have owned and used the home as your principal residence for at least two years (a total of 24 full months or 730 days) during the five-year period ending on the date of the sale. The ownership and use periods don’t necessarily have to coincide. Only one spouse must pass the ownership test, although neither spouse may have excluded gain from a previous home sale during the two-year period ending on the sale date. As for the use test, both spouses must pass it. Note that short, temporary absences count as periods of use. So, for example, a three-week vacation tour of Europe would count as time spent in your principal residence. If you don’t meet the requirements for the full $250,000/$500,000 exclusion, you might qualify for a reduced exclusion under certain circumstances: if you have to sell your home because of a change in employment, you move for health reasons, or there are other qualifying “unforeseen circumstances.” The amount of the reduced exclusion is based on the portion of the two-year use and ownership periods you satisfy. Call us today at 404-504-7051 for more tips on your tax and accounting needs. Our Atlanta CPA Firm is here to help!